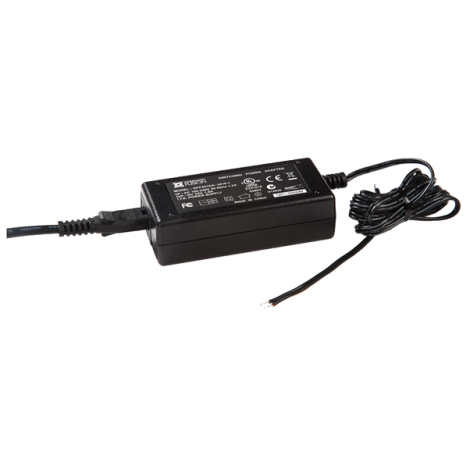 The CommandFusion PS-2419 is a 24V DC 1.9A regulated power supply. 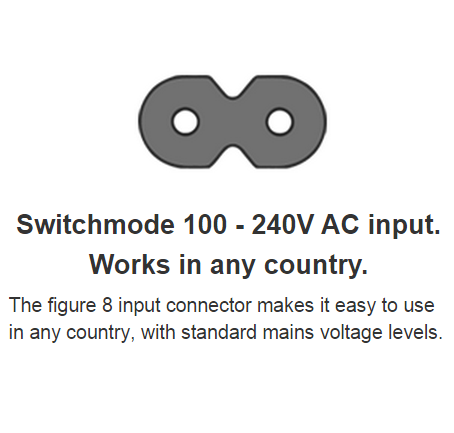 The mains lead connects via a figure 8 input, and the 24V DC regulated output is ready for use, no wire stripping required. 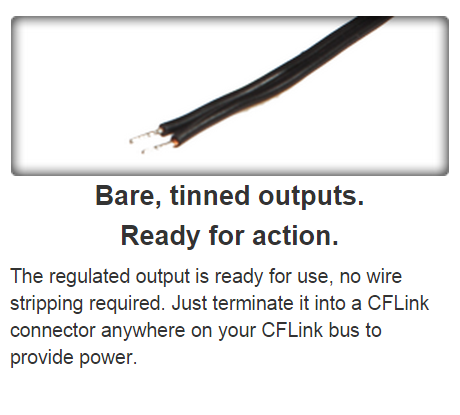 Simply terminate into a CFLink connector anywhere on your CFLink bus to provide power. The PS-2419 comes with a figure 8 mains lead.